With the much anticipated music of Ilayathalapathy Vijay starrer Kaththi nearing release, the expectations are peaking day by day. Adding more fuel to the immense curiosity, Anirudh has announced yet another detail about the music of the A.R.Murugadoss directorial. 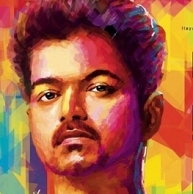 The audio launch of Kaththi will happen on September 18th and the release has been planned for Diwali. October 2 - Exciting Day for Tamil Cinema Buffs ! What Did Vikram Do To Vijay? Is It Vijay After Vijay Sethupathi For Dhanush? Soundarya Rajinikanth's First Is Ilayathalapathy Vijay's Kaththi, Directed By AR Murugadoss! People looking for online information on Anirudh, Dr KJ Yesudas, Kaththi, Vijay will find this news story useful.